So I returned back to Denmark almost 3 weeks ago. Also meant I started university a week later than my classmates and I’ve been studying to catch up and it’s been demanding at times, especially since we now learn two kanji chapters a week (about 25-30 kanjis a week), so I had to study up on about 60 kanjis in one week. We also have weekly tests we have to pass. Above all I’ve had stress and pressure from other things. I’m happy to see I still get daily views, which inspire me to make a prober update soon. I will go to Japan again from March 31st to April 15th. I still don’t get this sign… hope it makes more sense in Korean and Chinese than in English. 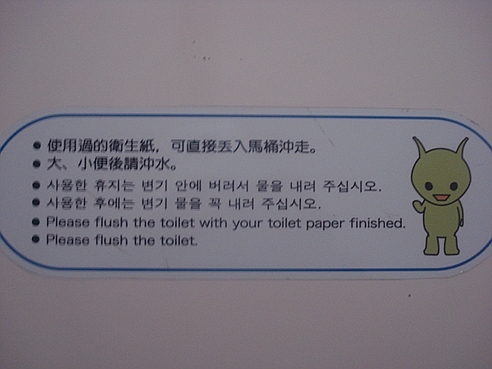 Do they mean, wait to flush the toilet until you’re finished with using the toilet paper? Overall I always find it fun to find weird English phrases in Japan. No wonder the word “Engrish” was invented. Since I’ve really seen some signs that doesn’t make sense at all. Other times I get the meaning, they just make it sound more complicated than it needs to be. 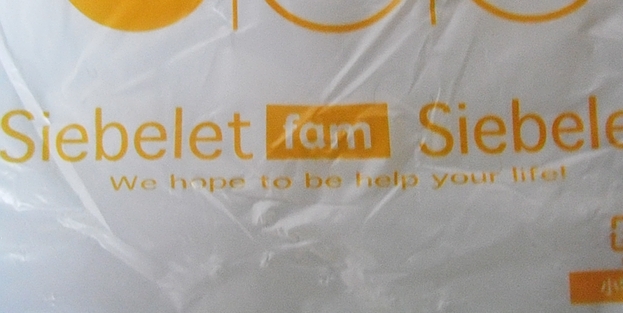 Like this bag from a accessory shop in Fukuyama. From Friday to Monday my boyfriend and I went on a road trip here in Japan, so I got a chance to see some of the places I haven’t yet seen. 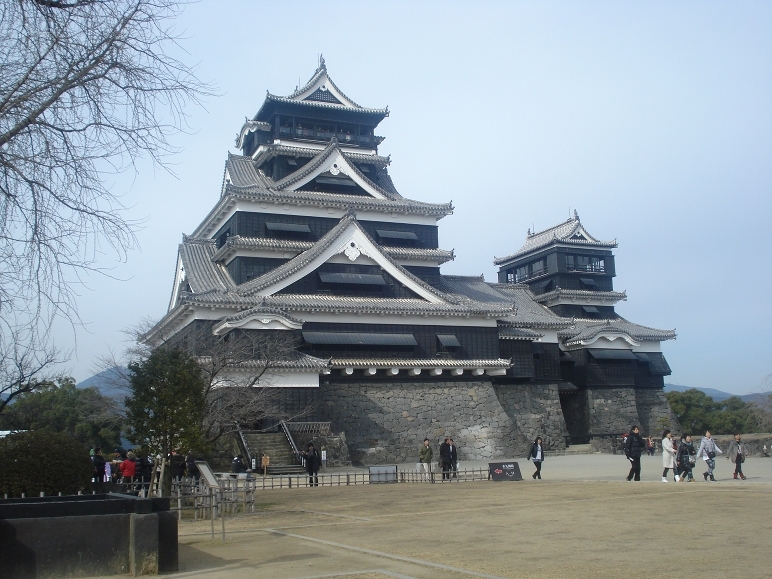 The road trip included the following places; Kumamoto, Fukuoka, Nagasaki and Yamaguchi. Around 7 o’clock the two of us got in a car in Miyazaki and began the trip towards Kumamoto. This included a lot of driving along mountain roads, which presented a beautiful views. 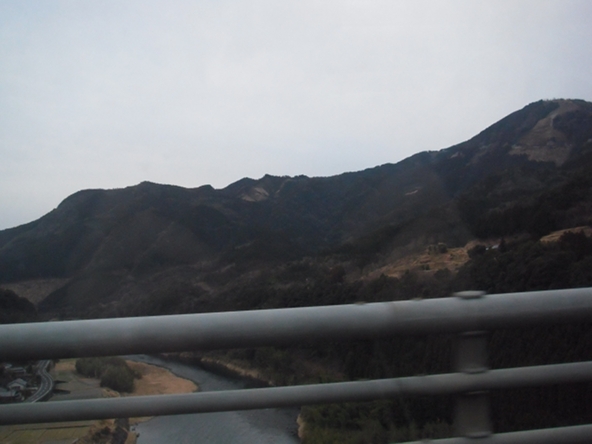 We drove to the city of Hyuga and got on the high way and continued towards the famous Takachiho Gorge and got closer to the border between Miyazaki prefecture and Kumamoto prefecture. Finally a small sign announced that we were leaving Miyazaki and entering Kumamoto. 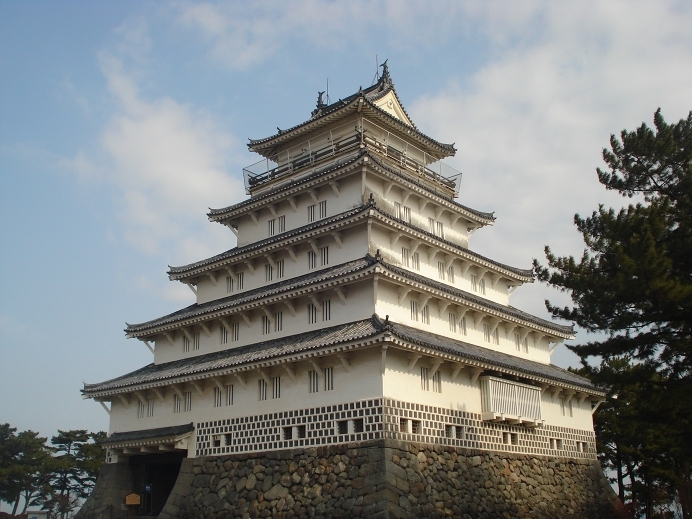 We continued our course to Kumamoto city, so see the main attraction of this prefecture, Kumamoto Castle. Around 11 o’clock we arrived to Kumamoto city, which was a lot bigger than I thought. I was surprised to see the many tall buildings, big amount of busses and trains and shiny department stores. Maybe because I’ve spent too much time on the Miyazaki country side. Since of course Kumamoto city is no match to cities like Tokyo, Osaka and Fukuoka. 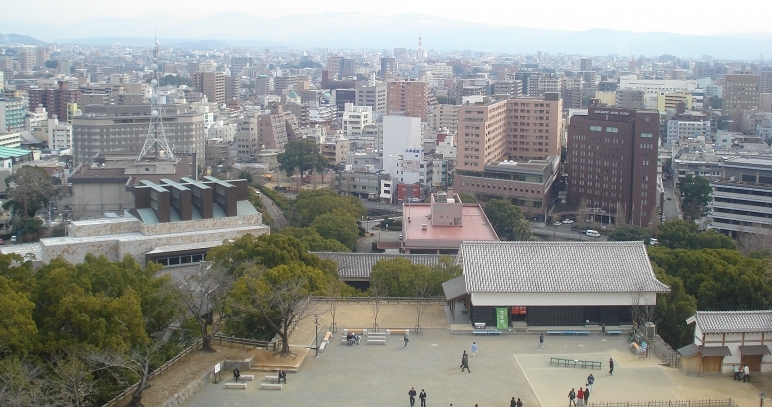 Kumamoto city from Kumamoto Castle. After spending around an hour on the castle grounds we returned to the car to continue our drive, now towards Fukuoka city. Around 4 o’clock we reached Hakata, Fukuoka centre. Our reason for coming to this city was not sight seeing though, since I’ve already spent two weeks in Fukuoka prefecture on an earlier occasion. Fukuoka was the stop between Kumamoto and Nagasaki where we changed from the older car we were using to a newer rental car. 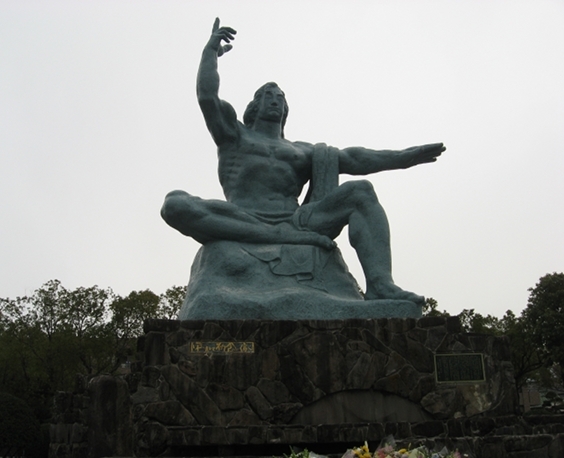 Around 6 o’clock we once again hit the highway and drove to the final stop for this day, Nagasaki. A few hours later we arrived. I was quickly impressed by Nagasaki city, with all the steep slopes, the cities flashing lights and the Chinese decorations. 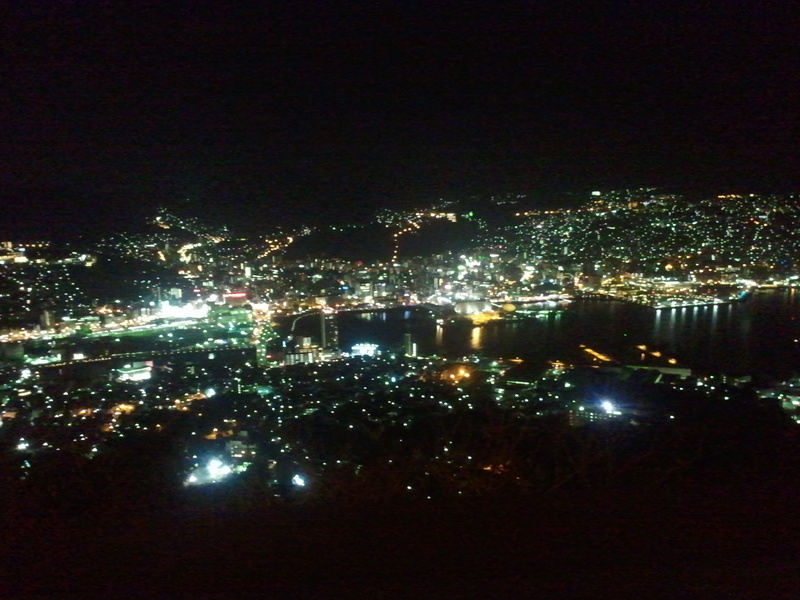 Before checking into our hotel we went to Mount Inasa to see the famous night view of Nagasaki. Saturday we started out with looking around a bit. 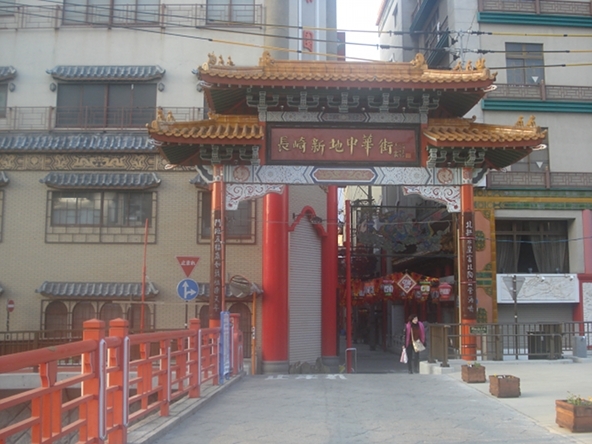 Trying to get a feel of Nagasaki city, which definitely has not only a China town, which most Japanese harbor cities has, but overall the whole city was decorated with red, Chinese lanterns and big dragons. After the quick look around we drove to The Peace park. 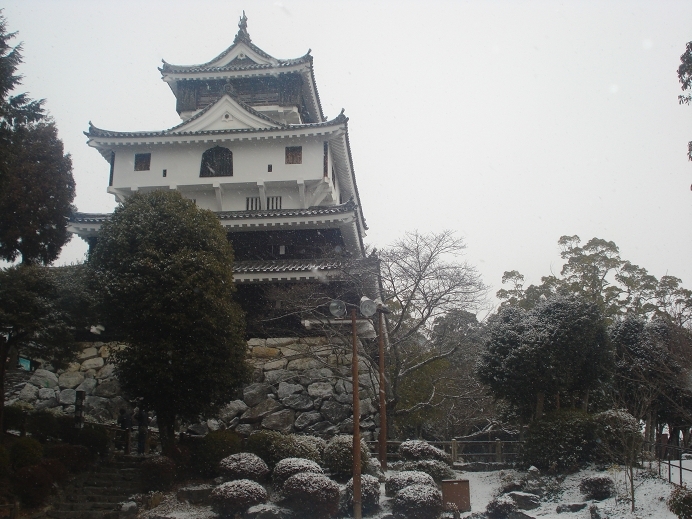 Then we drove to Shimabara, a one and a half hour trip, to see Shimabara castle. After that we drove around Nagasaki prefecture a bit and then we once again got on the Japanese highway with Iwakuni in Yamaguchi prefecture as our destination, which was a 6 hour drive. We checked into the hotel and then it was time for bed. 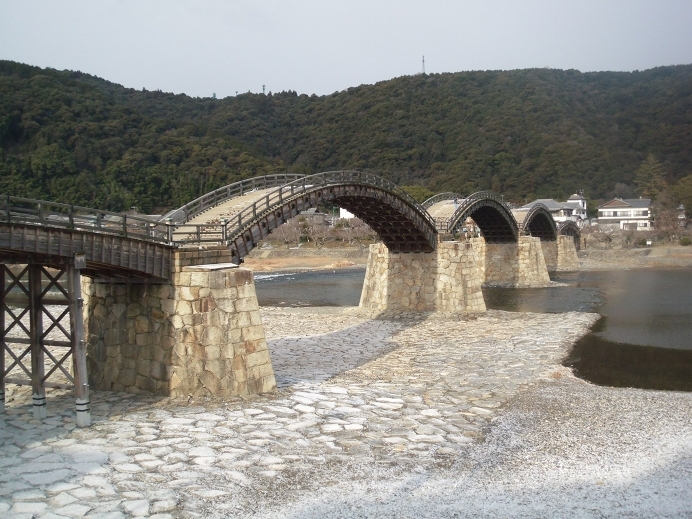 The next day we went to the city’s main attraction Kintai-Kyo bridge and Iwakuni Castle. The falling snow just made everything even more pretty and captivating. After at have spent time looking around we got back in the car and got ready t return to Fukuoka. Around 3 o’clock Sunday we returned to rental car and got back to the car we brought with us. 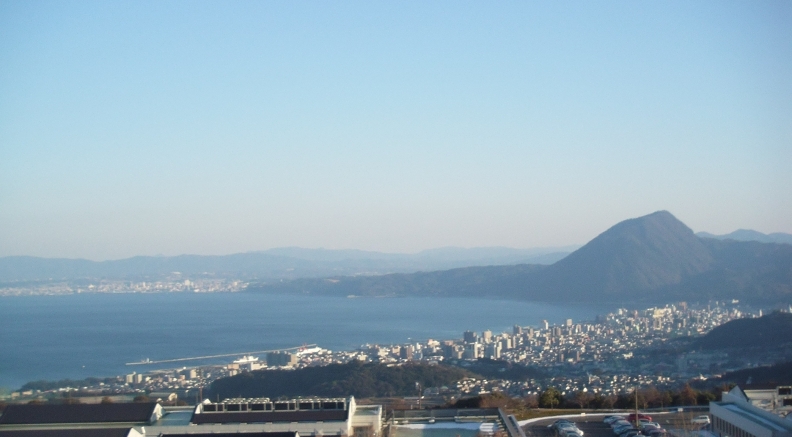 We then went to Kitakyushu of Fukuoka and checked into our hotel there. We spent our Monday in a amusement park, which was pretty empty because of the cold weather. 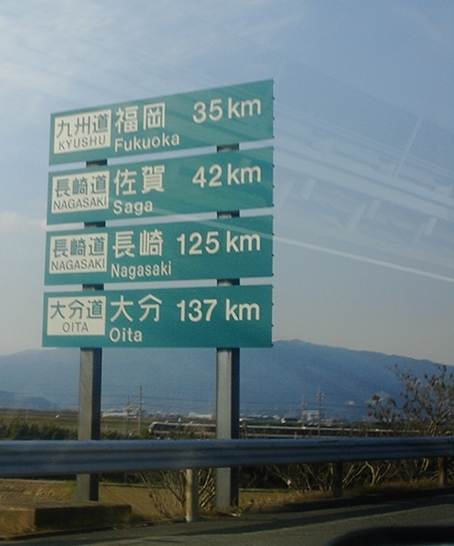 Then it was time to return to Miyazaki, on our way home we passed through Oita prefecture, which marked the last prefecture I could cross of my list on Kyushu. Meaning I’ve been in all Kyushu’s prefectures: Kagoshima, Miyazaki, Kumamoto, Oita, Saga, Fukuoka and Nagasaki.